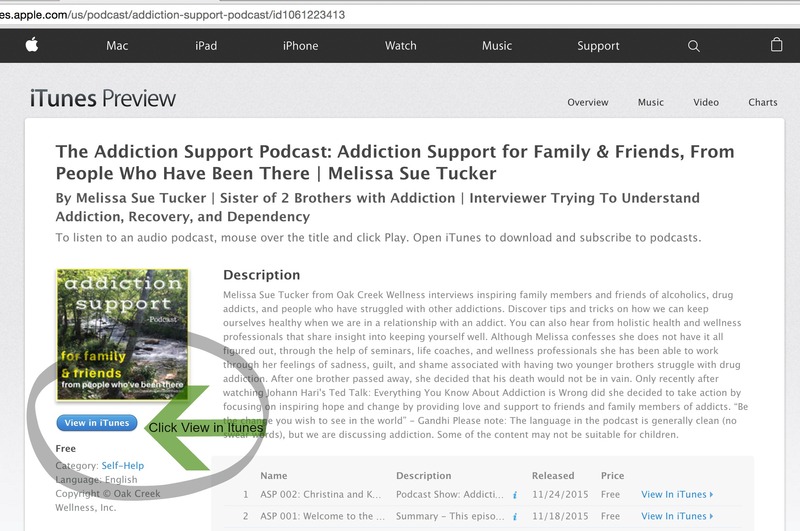 Sometimes technology can be overwhelming so I created this page to walk you through subscribing to The Addiction Support Podcast and leaving a review in iTunes. 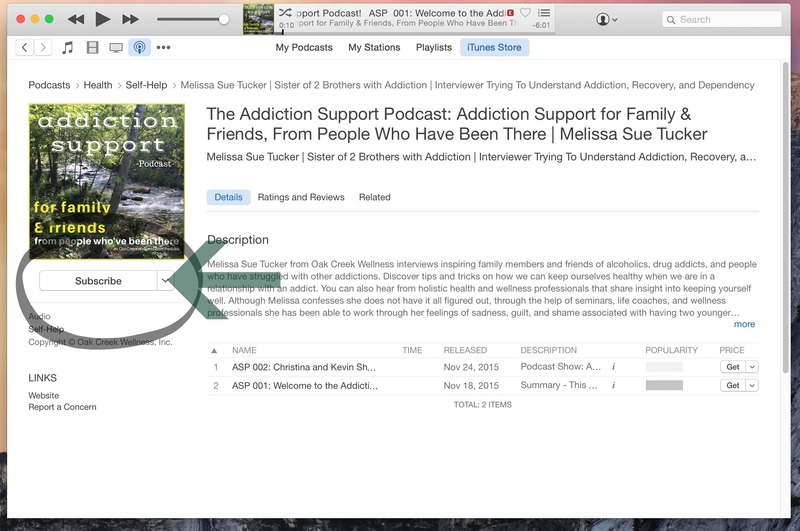 When you subscribe, new episodes will automatically show up in your iTunes Podcast App and Feed. Never miss an episode! Note: You’ll probably want to subscribe on every device you use to listen to the podcast. 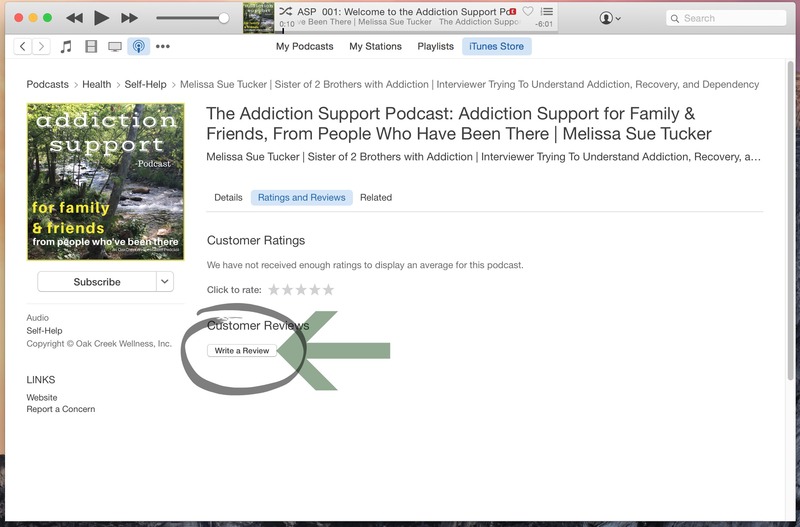 Another reason to subscribe is to help others find the podcast. The more subscribers, the more valuable iTunes will see the podcast. When they decide the podcast provides value, they offer it up in searches to people who are looking for it. Why would you want to leave a review? 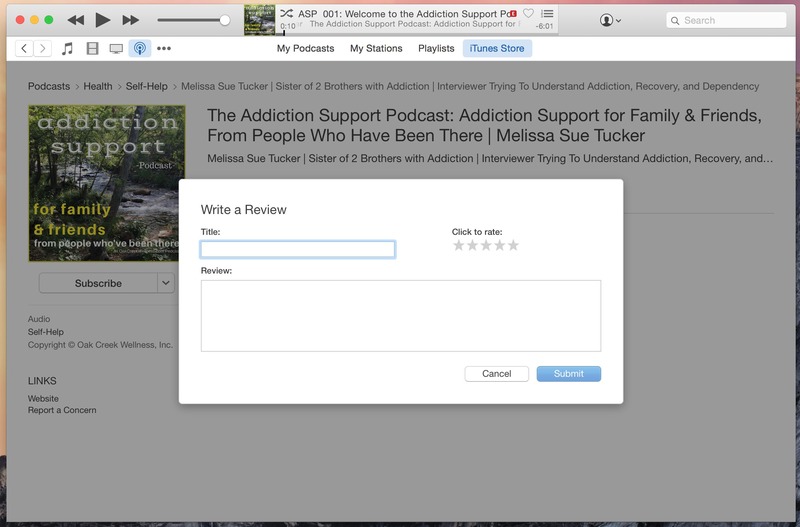 When you leave a review in iTunes, it will again help other people find the podcast. It’s possible that you would use different words than I used to describe it. 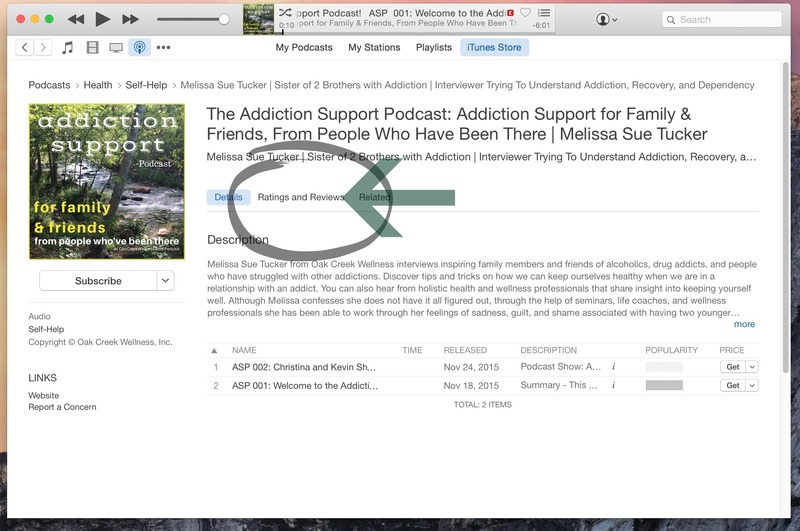 The more descriptions posted on iTunes, the better chance someone has to find the podcast. Another reason to leave a review is to let the podcaster (in this case – me) know that you’ve added value to their life. It can be overwhelming sitting on this side of the mic, creating content and learning all the technical stuff that goes into putting a podcast together. The podcast is free to you and costs me money every month to produce it and host it. Leaving a review is a great way to let me know that what I’m doing is valuable to you. How do you subscribe and leave a review? Once you’ve written your review, submit it. Please contact me directly with any suggestions you might have for the podcast, to be a guest, or with any comments that you might not want to share publically.